Meili Engine | What if we built the world’s first mobile activities & sensor game engine? 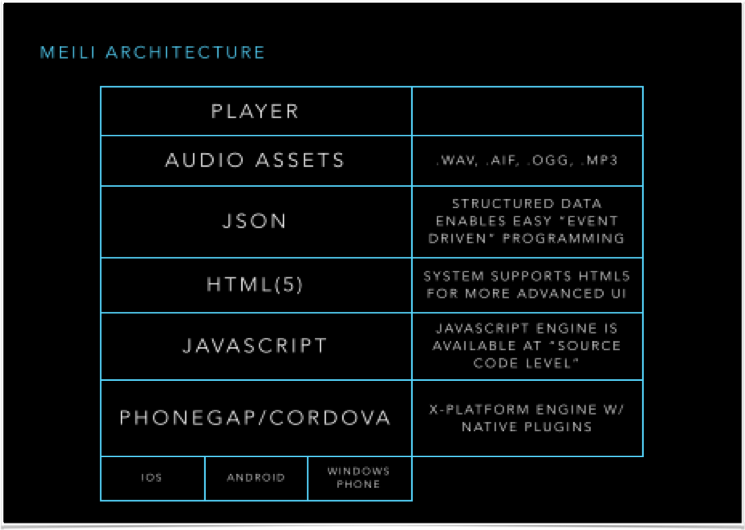 A simple look at Meili’s core architecture. Once you assemble your content, and structured JSON programming you can compile the entire package straight to a standalone app for distribution on app-stores worldwide.